Clayton Kershaw pulled off a double with his Cy Young and MVP wins. Saturday has again rolled up on me and with so many things to discuss I figure it’s time to throw some more bullets your way with a variety of thoughts from around the sports’ world. 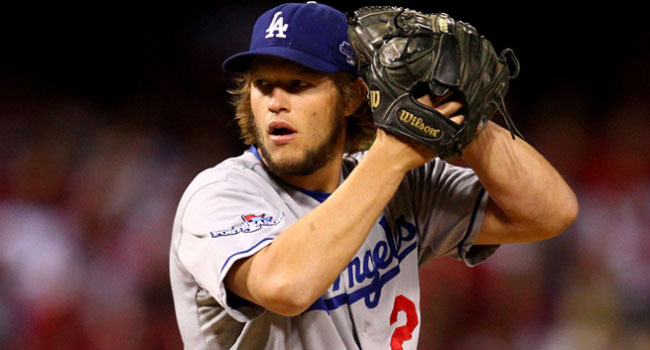 No surprises in the baseball voting with Clayton Kershaw grabbing both the NL Cy Young Award and the MVP. Mike Trout was the easy winner of the AL MVP as well. I have no issue with pitcher winning MVP. If he’s the most dominant guy on the field then so be it. I have to wonder what Florida Gator fans are thinking. Will Muschamp is going to get this team to a bowl game. Even if they lose to South Carolina today and Florida State in the finale, they’re going to beat Eastern Kentucky which will give them six wins. Is this what Gators’ fans want? Brady Hoke’s future is in the same boat. The team needs to beat either Maryland or Ohio State to get to a bowl game. Either way the only way Hoke’s job is saved is through a win at Ohio State and then a bowl win. Those things are unlikely to happen. I think the Chicago Bulls have a serious problem with Derrick Rose. There’s no way he should be talking about his “after basketball life” the way he is. Then Thursday night he comes up lame again with a hamstring pull. I can’t see the Bulls wanting to invest another dime in him. After all, this is the city where Michael Jordan would have run through brick walls to beat the Washington Bullets. Kobe Bryant made one of 14 field goal attempts last night in a loss to San Antonio. It was kind of a fitting scene as Bryant and Tim Duncan chatted a few times during the game. Duncan had another double-double going for 13 points and 11 boards. I applaud Bryant for coming back from his injuries but I really don’t know that he is helping the Lakers. The NBA announced this week that when teams play on Christmas their jerseys will feature the players’ first names rather than their last. Not real sure why but OK.
You would think Frank Drebin is running things in Tallahassee the way they do business. I’m paraphrasing a bit here but I loved the tweet from Fox Sports’ College Football Writer Stewart Mandel who wondered if the people of Tallahassee wouldn’t be safer in the hands of Frank Drebin. I couldn’t agree more. This is of course in response to the constant blundering of the Tallahassee Police Department when it comes to Jameis Winston and Florida State. There are some great games on tap for the National Football League tomorrow. The Eagles play at Green Bay where the tundra is expected to be frozen a bit early this year. The Patriots play in Indianapolis and this game could go a long way towards securing home-field advantage. Two of the best teams in the NFL face off in Arizona where the Cardinals host the Lions. Unless you have the NFL Sunday Ticket, you’ll most likely be out of luck. Only about 19% of the nation will get this game. Obviously there are some great college football games on tap today but I want to focus a Big 12 game for a second. Oklahoma will face Texas Tech today without QB Travis Knight. The Sooners were ranked number one in many preseason polls and now have three losses, two of which came at home. Don’t be a bit surprised if Bob Stoops is suddenly on the hot seat. Yes he wins games, but this is a “what have you done for me lately” market place. Alumni aren’t thrilled about losing to Kansas State and Baylor in Norman. Jimmy Graham was labeled a tight end this week and not a wide receiver. What does that mean going forward? Jimmy Graham and tight ends like him took a shot across the middle of the field yesterday as an arbitrator ruled that he should be deemed a tight end in his franchise tag case. The hit Graham takes is roughly $5 million as he could have made $12 million this upcoming season had he been labeled a wide receiver. The case was closely watched by not just tight ends but outside linebackers as well. Some in the 3-4 defense felt their value was greater than an outside linebacker in a 4-3 defense. The outcome of the Graham situation likely won’t change their feelings but it won’t help their case much either. Despite lining up away from a traditional tight end position more than 60% of the his offensive snaps, the arbitrator ruled against Graham because defenses still accounted for him as a tight end on even larger basis. He found that Graham was much more frequently covered by a linebacker or safety rather than a cornerback. Graham probably didn’t help himself much either as he lists himself as a tight end on his Twitter bio page. What’s next for Graham and the Saints is more negotiations. The Saints obviously want to sign him to a long-term deal and would love to get that done prior to the start of the season. Graham’s camp is in an interesting position. They might still feel he is worth wide receiver-type money and may want to test the free agent market next winter. The downside of that is scenario is that Graham will need to have another big year. If he can’t replicate the numbers he had in 2013 then his stock takes a hit and therefore, so will his potential contract numbers. The Rockets used both players and propaganda to recruit Carmelo. 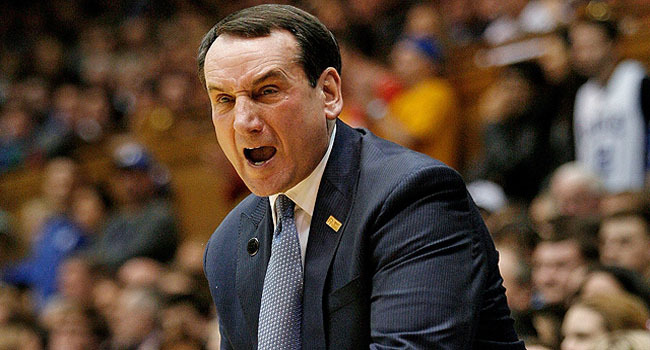 We all know just how crazy the recruitment of potential college athletes is and can be. From promises of starting positions, to guarantees of being drafted, players are pretty much wined and dined so that they will come to that particular school. I honestly don’t know if free agency in the National Basketball Association was supposed to mirror collegiate-type recruiting but I’m pretty sure it wasn’t. Despite this, recruiting in the NBA is alive and well and it’s the players doing it much more so than the teams themselves. Consider that in Oklahoma City, both Kevin Durant and Russell Westbrook were present when the pitch was made to free agent center Pau Gasol. Dwight Howard and James Harden have reportedly had contact with Carmelo Anthony who visited Houston this week. Kobe Bryant was expected to be present when Anthony visits the Lakers as well. In the grand scheme of things, players are going to talk to each other. This is what happens when they get to know each other through All-Star Weekends and playing on Olympic teams together. There is nothing wrong with the players talking. Free agent players want to know what the coach or general manager is like in a particular city they are considering. That said, I’m not sure the level of communication was supposed to be quite like this. That said, the one thing I hate that comes from all of this is the ugly discussion that fans raise about a free agent taking money over a chance to win. LeBron James actually took less money to go to Miami in an effort to win yet now people are upset with him because it’s been rumored he wants a max deal. Are you telling me you wouldn’t want the most money you could get? Either way, the recruitment process has come to the NBA in one form or another whether we as fans like it or not. Steve Kerr made the right move in spurning New York for Golden State. Can any of us really say that we are surprised that Steve Kerr chose the Golden State Warriors’ over the New York Knicks? There was one draw that would have made Kerr come to the Big Apple and that was Phil Jackson. As his former coach and mentor, Jackson would have guided Kerr through the rapids of coaching in the NBA. Of course that could also be considered one of the drawbacks to the job as well. Would Kerr have been comfortable knowing that every time his Knicks’ went on a four-game losing streak rumors about Jackson taking over would run rampant? That’s just part of it though; Kerr got more years and more money out of the Warriors and he has much more talent and less contractual problems as well on the West Coast. 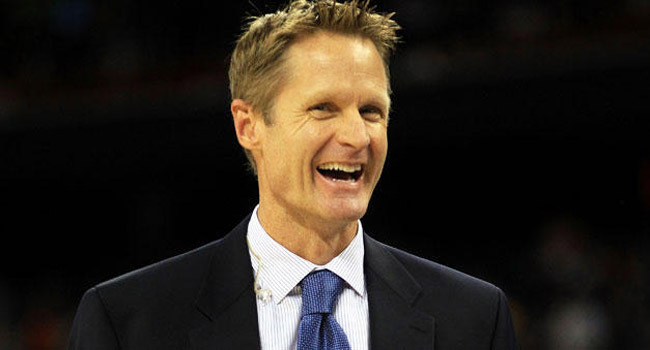 The bottom line is that Kerr has made the right choice especially considering he is going to be a first-time coach. Maybe success will eventually lead him to New York and reunion with Jackson anyway? Don't bet on Kobe staying quiet throughout the Lakers' coaching search. Kobe Has No Say in Coaching Hire. Ya Right. Los Angeles Lakers’ General Manager Mitch Kupchak says that while the lines of communication are open with star Kobe Bryant, he won’t be involve in the decision on who to hire as the team’s new head coach. So if I’m the Lakers, I’m going to pay Bryant this ridiculous amount of money for two years (likely his last) and yet they don’t want him involved in choosing the coach? I really do see Kupchak’s thinking, but is it realistic? Bryant won’t want to make his final years meaningless as the last few have been due to injury and poor coaching. While the Lakers have been relatively quiet about potential replacements for Mike D’Antoni, Kupchak and the Buss Family have to be thinking long-term. They will have ping-pong balls flopping around in the draft lottery which could give them an excellent player to bring on board for a long time. With some potential cap room as well, the team wants a coach for many years. Not allowing Bryant to have some say in this is crazy. He isn’t going to play for just anyone. Regardless of how they got there, the Indiana Pacers have the rematch they’ve desired for the last 12 months staring them in the face. The Pacers will get yet another crack at the two-time defending champion Miami Heat in the Eastern Conference Finals. Indiana needed 13 games to dispose of both below .500 Atlanta and youthful Washington. In the meantime, the Heat needed just nine games to get past Charlotte and Brooklyn. Advantage here would have to go to the Heat. These two have basically played to a draw over the last couple of seasons, but with the bizarre struggles of this Pacers’ team it’s going to be extremely hard to like Indiana winning. Over in the Western Conference Finals, the top seeded San Antonio Spurs will face second seeded Oklahoma City. These two have represented the Western Conference in the NBA Finals the last two seasons with each losing to the Heat. For the second time this playoff season we are seeing a strange match-up where one team has beaten the other in all four games they played in the regular season. The Thunder went 4-0 against San Antonio this season which is exactly what Brooklyn had done to Miami prior to being dumped in five games in the second round. Remember, in 25 previous times, a team that swept another in the regular season also went on to beat that team in the playoffs. That happened every time until this week when Miami beat Brooklyn. Is Oklahoma City about to suffer the same fate? Kobe Down Again; Will Weak East Hurt Pacers, Heat? 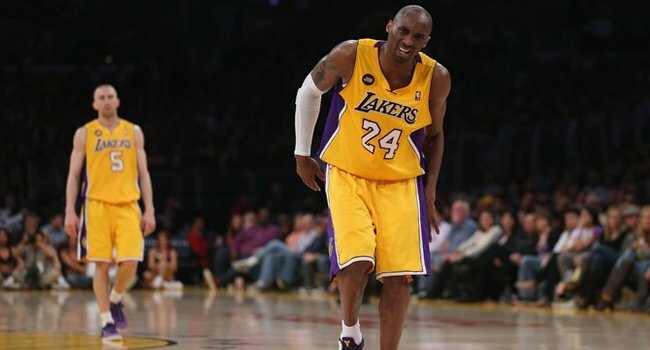 The Lakers believe Kobe is out for six weeks while others believe it will be longer. I’m not a fan of the Los Angeles Lakers. I’m not really a fan of Kobe Bryant either but I am a fan his for one reason, I don’t want him to go out like this. Just a couple of weeks after he returned from his Achilles’ injury, Bryant is out again. This time, Bryant has a fracture in a small bone in his knee. Most reports are saying he’ll miss the next six weeks but the doctors I’ve had speaking on the issue are saying that it will likely be much longer. Greats in any sport should be able to go out on their own terms and not because they are forced. Fans have laughed and ripped on guys like Brett Favre and Michael Jordan for years because they couldn’t walk away from the game. They had to keep coming back and coming back and coming back again. I have to tell you, I completely understand what drove those two men. I honestly believe the average sports’ fan doesn’t understand what walking away from the game means for these guys. For some, it’s easy because they are ready to get on with life’s next phase but for many including the greats it’s an ordeal. Why you may ask? Think about it, for Favre and for Jordan, their respective sports are all they’ve known since they were kids. When you have the opportunity to do something you love and that can provide for you and your family then you do it. While everyone around you realizes that your skills are not once they once were, you struggle to see it. I’m not saying this is happening with Kobe, but think of the mileage on his body now at the age of 35. My hope is that he can rehab well from this latest injury and go out when he wants to and on his terms. Will the weak Eastern Conference cost these two come NBA Finals time? It does not take a rocket scientist to realize that the Western Conference of the National Basketball Association is far and away superior to it’s’ counterpart in the East. There are currently three teams in the Eastern Conference with winning records (Indiana, Miami, Atlanta) while in the West, there are just two teams below .500. My question is not so much about what conference is better, but rather what team is better. I point this out because most would say that Miami is still the team to beat simply because they are the back-to-back champions and have the main three guys still on the team. I have to wonder though if the weakness of the Eastern Conference could ultimately do in either the Heat or Pacers (should they get there) in the NBA Finals. Neither the Heat nor Pacers will be challenged in the first two rounds of the playoffs as things are now. The same cannot be said for top teams in the Western Conference. If the playoffs started today, you’d have a top seed of Oklahoma City facing an eight seed of Denver who owns a respectable 14-10 record. By contrast, top-seed in the East Indiana would face Toronto who currently sits at 9-14. Many times, competition that is strong often makes us better. This is why many college basketball teams schedule so many top-ranked teams before conference play begins. While I understand the professional ranks are different in this regard, you can’t help but wonder if the potentially weak opposition in the Eastern Conference will soften Miami or Indiana for the Finals. 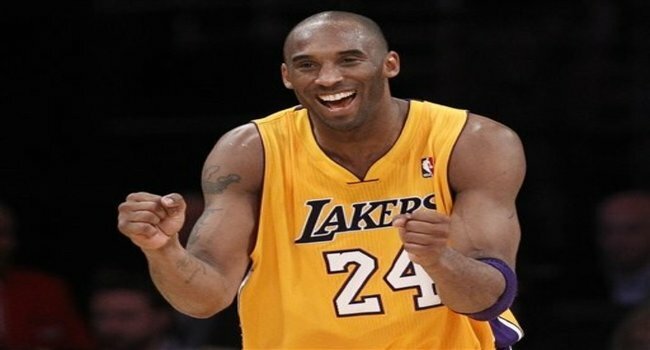 Kobe Bryant will return tomorrow and I look for Kobe to be 100% and more. We know when Kobe will be back. Northern Illinois took an unexpected tumble creating an opening in the BCS and Gary Kubiak became the first NFL coaching casualty. Let’s get it started. The Los Angeles Lakers have confirmed that Kobe Bryant will return to the court tomorrow when the Lakers host Toronto at Staples Center. Bryant’s return comes on the heels of him becoming the highest paid player in the NBA after he signed a two-year extension two weeks ago. The Lakers are claiming you will see a ‘dominant’ Kobe Bryant and while that could just be posturing and advertising to some, I think there is some truth in it too. Unlike many players in many sports who come back too soon, I believe Bryant’s attitude and ego have kept him from doing so. Typically we see guys return and have limited minutes and only a set number of options available to them offensively but that won’t happen with Bryant. I’ll be very surprised if Bryant doesn’t log at least 35 minutes. This is just how Bryant is and the Lakers know that. If he can’t come back and be “Kobe” then he wouldn’t come back at all. Bowling Green and head coach Dave Clawson won the MAC title by knocking off unbeaten Northern Illinois. The BCS bowl games were looking quite neat and tidy heading into this weekend. Then a rather unexpected thing happened in Detroit last night. Northern Illinois entered the MAC Title game against 9-3 Bowling Green unbeaten and fully expecting to go to a second-straight BCS game. This is obviously why they actually play the games as the Falcons ripped the Huskies 47-27. Heisman hopeful Jordan Lynch looked fairly pedestrian as he threw two interceptions and ran for just 126 yards which is certainly lower than he usually rushes. So what exactly does this mean for the BCS? Chances are that the door swings open for either Baylor, Clemson or Oregon. The Bears can make it a moot point if Oklahoma State loses today and they defeat Texas. They would get the automatic bid for the Big 12. Should they win, but so does Oklahoma State, they would look very enticing with just one loss and a high-octane offense. If not them, a one-loss Clemson or a two-loss Oregon could get the bid. As you know, the fan base is a huge factor in who gets chosen because BCS game like to make money believe it or not. That’s where Baylor could be hurt. The small private university does not have a large base or a national following. Both the Ducks and Tigers would be far more intriguing so keep that in mind. The Houston Texans parted ways with head coach Gary Kubiak yesterday in the midst of the team’s 11-game losing streak. The head coach since 2006, Kubiak amassed a record of 61-64 with two playoff wins in four attempts but this was supposed to be “the season.” Owner Bob McNair believed the team had put together its’ most talented roster but injuries and poor play made that a moot point. Kubiak will more than likely return to the NFL in an offensive coordinator capacity. Talk of him being a head coach again has been relatively sparse. If I’m the Texans, I’m putting in calls to Lovie Smith, Bengals’ defensive coordinator Mike Zimmer and possibly Denver defensive coordinator Jack Del Rio who has done a great job running the Broncos in John Fox’s absence. Job number one for whoever gets the job will be to find a quarterback. Case Keenum will get the first shot while Matt Schaub will be on the way out. While Bryant's return is imminent, the Lakers went ahead and made the 35-year old the highest paid player in the game. I’m pretty confident that Kobe Bryant has already cemented his place in National Basketball Association history regardless if he takes another shot or not. Nearing his return from a ruptured Achilles’ tendon, Bryant will go down as one of the top five to seven players in league history. Rankings such as these are always debatable but what is also up for debate is the new deal Bryant has signed with the Los Angeles Lakers this week. At the age of 35, the Lakers and Kobe Bryant agreed to a two-year $48.5 million extension on Monday night. This deal will make Bryant the highest-paid player in the NBA and keeps in the purple and gold for two more years. While I respect and congratulate the Lakers and owner Jim Buss for the loyalty shown, I can’t help but believe that this is a very risky move for a franchise that is already in a bit of transition. I should probably applaud the loyalty more than I am because it something so seldom seen in professional or even collegiate sports today. Unfortunately, I can’t stop fixating on the money involved in this deal. Because the new deal takes up about a third of the Lakers’ salary cap, this will limit them in terms of being able to pursue top free agents although it appears they may be able to sock enough money away to go after at least one of the top free agents in 2014 or 2015. That list by the way could include LeBron James and Carmelo Anthony. In 2015 Kevin Love will hit the free agent market and in ’16 Kevin Durant and Russell Westbrook look to be available. We can’t forget that Lakers’ big man Pau Gasol is in the final year of his contract and reportedly has had no discussions with the team regarding his contract. It’s no secret that Bryant would desperately love to get his 6th NBA Title tying Michael Jordan, but the cast around him is not going to help much. This signing was about loyalty and I get that and I like that, but I’m not sure it was the best thing for the Lakers in the long run. Derrick Rose is out for the season again following an injury to his other knee. The other big story in the NBA of course is the loss of Derrick Rose to yet another knee injury. Rose underwent surgery on Monday where he had his medial meniscus repaired. The procedure was done by the same doctor who repaired his left knee in 2012. For the Bulls’ it means yet another season without their top player. The team was valiant in playing without him last season but a year later it is doubtful they can repeat the same success. Their first game following the injury resulted in a 121-82 drubbing at the hands of the Los Angeles Clippers. For a team that was around .500 prior to Rose’s injury, I can’t help but think this could be just too much to overcome. For Rose himself, the questions about his future have to be creeping in more than ever. If you recall he was medically cleared to return to action last season but did not. That led to questions about his confidence with the injury. Those sentiments are likely to return in 2014 for which he is scheduled to be ready but can he return to the form that once made him the most valuable player in the NBA? I certainly have my doubts and I’m guessing the Bulls do too. Bryant vows he'll be ready for the opener this fall. What does that mean for your wagering? If the National Football League is a 365-day spectacle full of trades, combines, off-field triumphs and tragedies and oh yes, some games, then what is the National Basketball Association by comparison? The NBA Finals (which I’ll break down tomorrow) are set for game one in Miami but there is no shortage of news around the Association. Much of the news as always could have an impact on how you wager heading into next season. Where are free agents going? Who could be traded? What coach has a new address and what coach is staying put? These and many more things I address today as I bounce around the NBA. Kobe Back for the Opener? 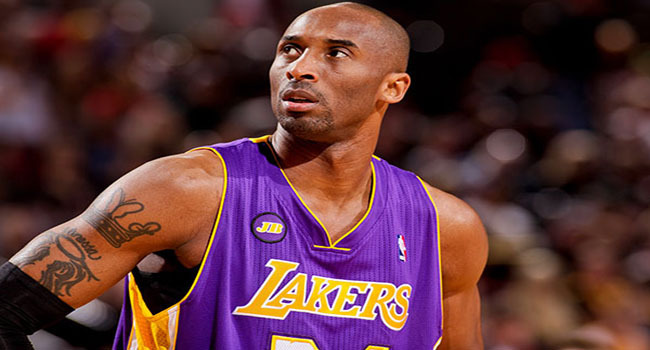 LA Laker Kobe Bryant said this week that he plans to return and be ready for opening day next fall. Hard to believe but Bryant is already into his sixth week of rehab and according to his doctors, everything is on schedule. Achilles’ injuries are always one of the most difficult to bounce back from and when you consider the mileage on Kobe, the question has to be asked as to whether he truly can ever return to form. As hard as Bryant works, don’t put it past him but while you keep an eye on his status in regards to any futures bets this summer, pay attention to Dwight Howard as well. Bryant has made it clear he would like Howard to return but he knows there will be several offers. Should Howard go elsewhere that will impact your betting in terms of the Lakers. It was almost perfect that Hill and Kidd retired just days apart. Hill, Kidd Call it Quits. How ironic that the same two guys who shared the NBA’s Rookie of the Year Award would retire after 19 seasons within just days of each other. While I believe both men will make the Hall of Fame, I also believe their selections will be for drastically different reasons. Kidd leaves the NBA number two all-time in assists and steals. In both of those categories he trails only the great John Stockton. Despite struggling tremendously in the playoffs this year, Kidd was still vitally important at times to the Knicks capturing the Atlantic Division title. When eligible, he will more than likely go in on the first ballot. Because the Basketball Hall of Fame covers both college and professional careers, Hill will enter the Hall more for his outstanding collegiate career than his injury-plagued pro one. Hill was a part of two Duke National Titles before being drafted by the Detroit Pistons. He’ll forever be etched in college basketball immortality because he was the man who threw the pass to Christian Laettner for his winning shot over Kentucky in the NCAA tournament. Hill was a very good NBA player but his injuries limited what could have been an outstanding career. Where Does Hollins Land? Memphis Grizzlies’ Head Coach Lionel Hollins has been given permission to speak with other NBA teams this week but clearly stated that he wants to stay in Memphis. Hollins also stated that reports that he wanted Zach Randolph and Tony Allen off the team were not true. Whether accurate or not, one thing is for sure and that seems to be that Hollins does not have a rosy relationship with new Vice-President John Hollinger. The former ESPN writer is a big believer in the new style of consulting analytics and stats before making too many moves. Hollins of course is much more of an old school guy who believes that front office people belong in the front office, not on the practice court. Hollins needs to be cautious because he doesn’t want to find himself out of job altogether by stringing other teams along. 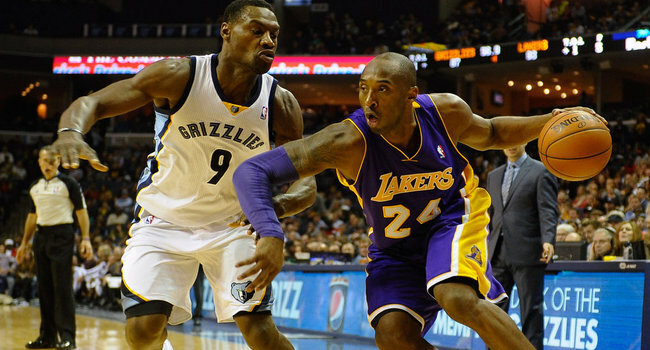 Could Bryant's injury impact whether or not the Lakers keep Dwight Howard around? Already underway in the media speculation department is will Dwight Howard remain in Los Angeles next season with the Lakers or will he be elsewhere? It’s an intriguing situation to be sure because there are several angles which of course point in both directions. If Kobe Bryant had suffered a severe ankle sprain and not the ruptured Achilles’ tendon, perhaps the Lakers’ front office vie things differently. Maybe Bryant’s injury has no bearing on their decision about Howard at all. Here is the best I can figure; Howard will explore other options when free agency kicks in after the season ends and will look for a smaller market than the one he currently is in. Howard has never looked comfortable for even a second in La-La land and perhaps the glare of the big city lights have just been too much for him to handle. What the Lakers have to decide is is Howard a guy worth building the future of the franchise around? Athletically he is certainly the real deal but my question is can he deal with the pressure? I really believe his comments of the whole season being a ‘nightmare’ following their loss the other night spoke volumes. I would strongly wager Howard goes elsewhere in the fall. Smith’s return should provide the Knicks with enough to end the series tonight. Boston at New York (Knicks Lead Series 3-1) – The Celtics were able to stay alive with a 97-90 overtime win this past weekend and push the series back to New York. The Knicks were playing without J.R. Smith who was suspended following his elbow to the face of Boston’s Jason Terry in game three. I expect Smith to return with a vengeance in tonight’s game. Not that his elbow wasn’t a stupid move, because it was, but if I’m I don’t want this series going any further. If by some miracle the Celtics push this to seven games, Smith will be the villain who jump-started their comeback effort. That sounds easier than it is however because I expect not only a big game from Smith but from Carmelo Anthony as well. Boston had to do everything they could just to steal a game and I just can’t see them grabbing one in Madison Square Garden. Atlanta at Indiana (Series Tied 2-2) – Talk about a tale of two series wrapped into one… The Pacers took care of business on their home court in games one and two and will thankfully return home. I say ‘thankfully’ because the Hawks put an absolute whipping on the Pacers in Atlanta in games three and four. What we now have is a best of three series with Indiana having two of the three at home. Common sense says this is their series but I’m not ready to go there just yet. Atlanta seems to have found a nice game-plan against the Pacers. I’ll go with Indiana tonight who’ll be happy to be home, but this one is going seven. Houston at Oklahoma City (Thunder Lead Series 3-1) – I thought all along that Houston would be able to steal at least one game in this series although I didn’t see it happening with Russell Westbrook out for the season. It will be short-lived excitement however because the Thunder understand the need to get this series over with as soon as possible. With Westbrook out, getting the team and Kevin Durant as much rest as possible is crucial for long-term playoff success. I like the Thunder to put the Rockets away tonight in OKC.